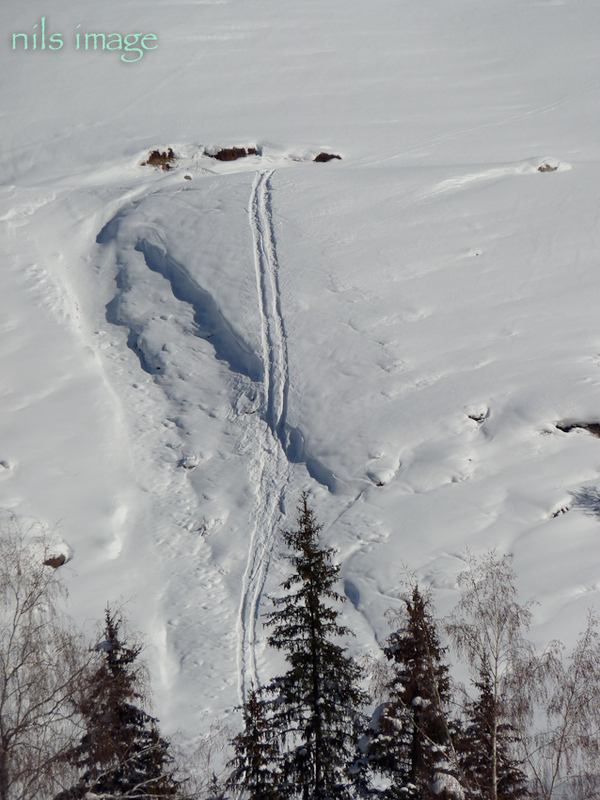 After 4 years of anemic snowpacks in the Altai, I finally lucked out in the winter of 2009-10. Good weather information in the west for the Altai region is sparse, and what I find tends to be macro, covering a very large area that is notable for its microclimates. By mid December of 2009 things were looking good even from my macro viewpoint, and once in Beijing I found reports of heavy snow and cold on China News Service and elsewhere. 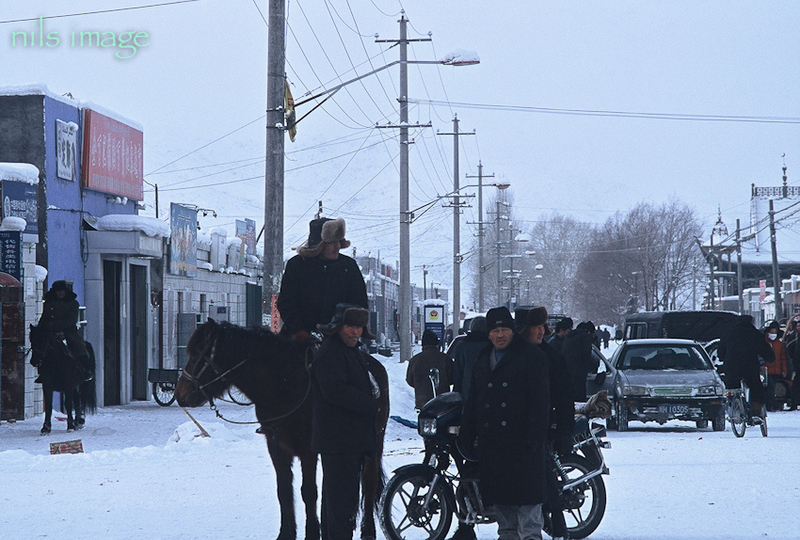 the internet as well as international phone service had been shut down in Xinjiang. I was able to find some work arounds through friends in Beijing who acted as intermediaries but schedules and arrangements were tenuous at best. I arrived in Urumqi late at night on January 14th and was met by Ayken. 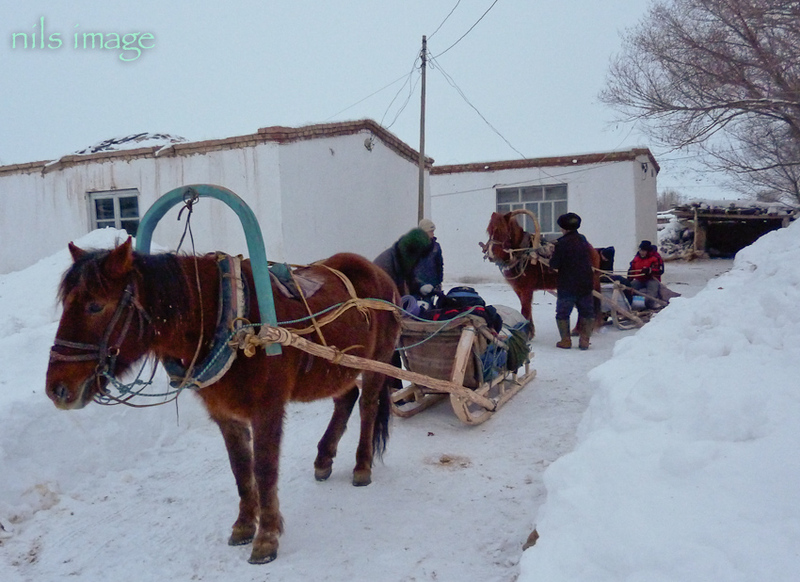 He had made arrangements for us to get to Altai City by bus, traveling with a crew of archeologists (including Wang Bo) and museum directors as they were also going to Altay City for the traditional ski race held annually there since 2006. 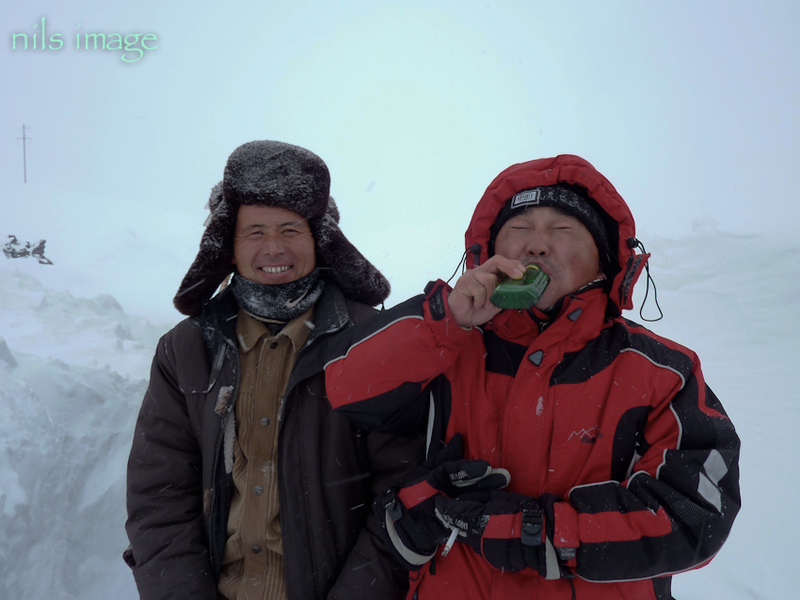 We packed into a minivan for the 10 hour drive north and were met that evening on our arrival by Shan Zhaojian, the founder and organizer of the ski races. I had meet him originally in Beijing in 2006 and saw him again at the race here in 2007. 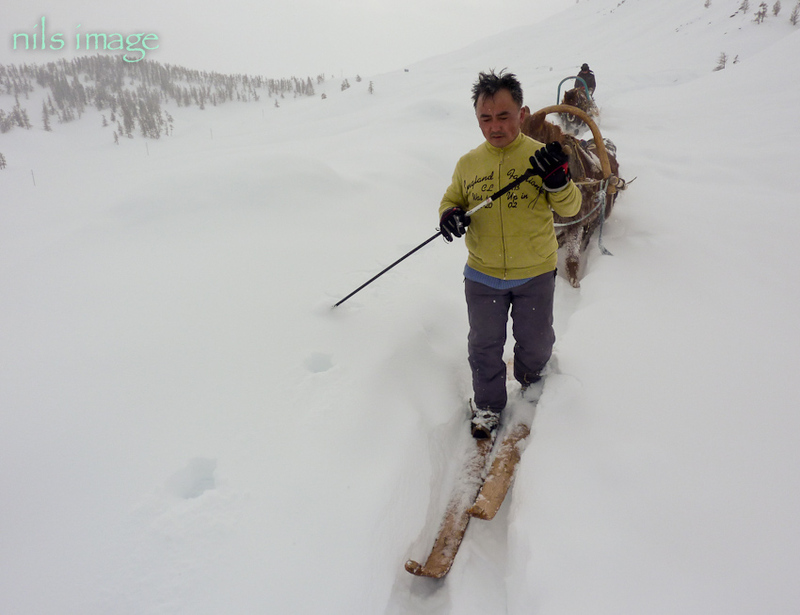 We had become friends with a similar interest, the indigenous skiing of the Altai. Shan Zhaojian has helped me gain entrance to some areas and smoothed the way in contacting certain local officials that I needed to work with in the region. In short, he has been a big help. In return I have offered up what material I have collected, images and videos, for his use in a recently published book, also adding a few written words. 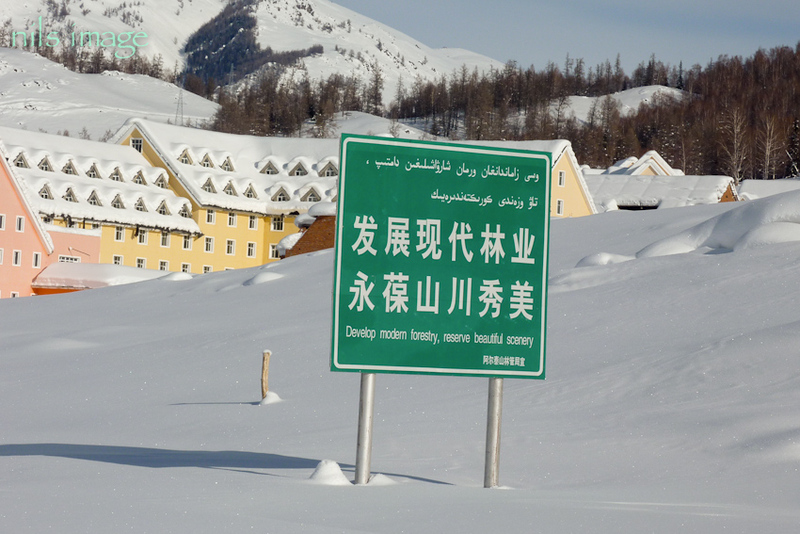 Shan Zhaojian is a leading proponent of the “skiing originated in China” theory, a subset of the current enthusiasm in China for claiming all things emanate from the middle kingdom. 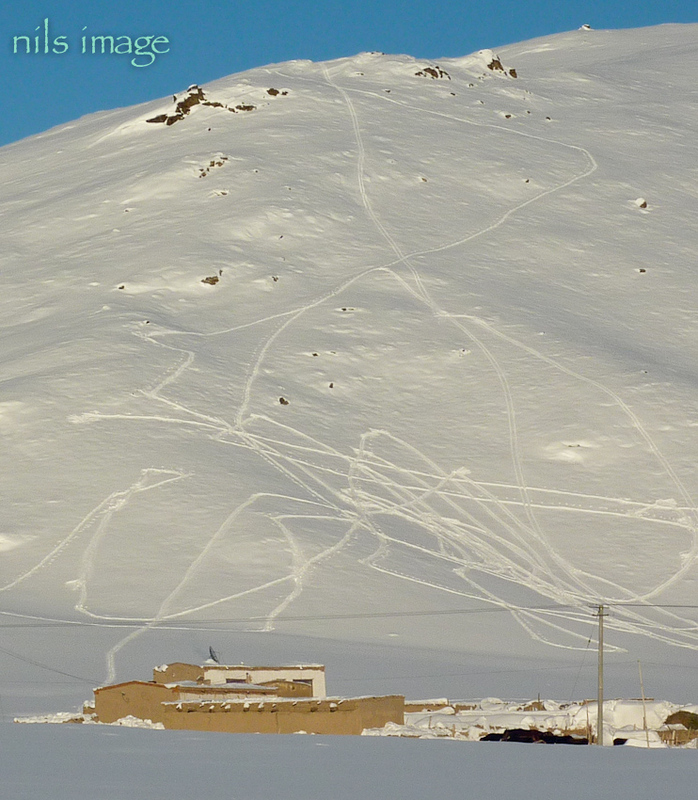 He and I have discussed this at length and though there is plenty of evidence that skiing in the Chinese Altai is indeed very ancient, the evidence that it originated there is (from my view)less then ironclad. 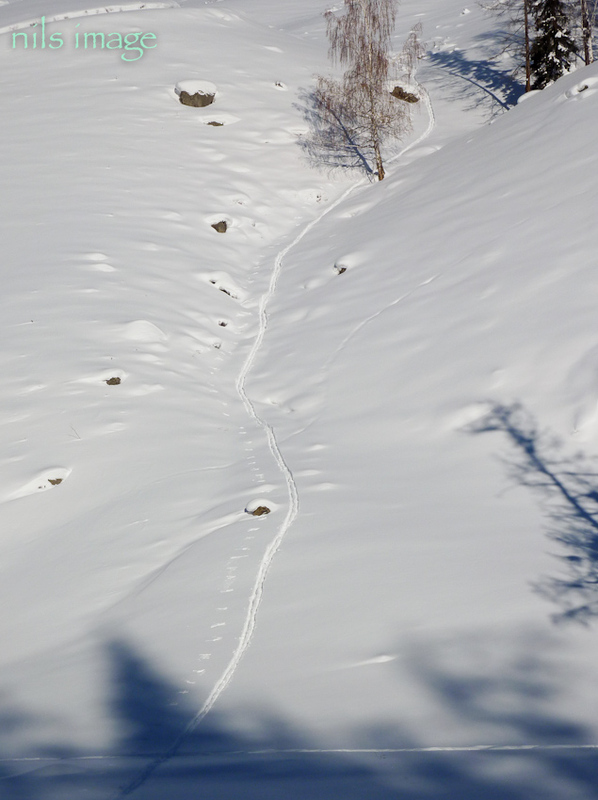 We have agreed to disagree on this point, and I, in my broader interest of tracing skiings origins, remain a firm agnostic on the time and place where someone first slid down a hill with willful intent. As any of you who have visited this blog has noticed, I have been woefully remiss in keeping this updated. In fairness, I was having compatibility issues with my blog format and could not upload images. I have now converted to wordpress and all is well. 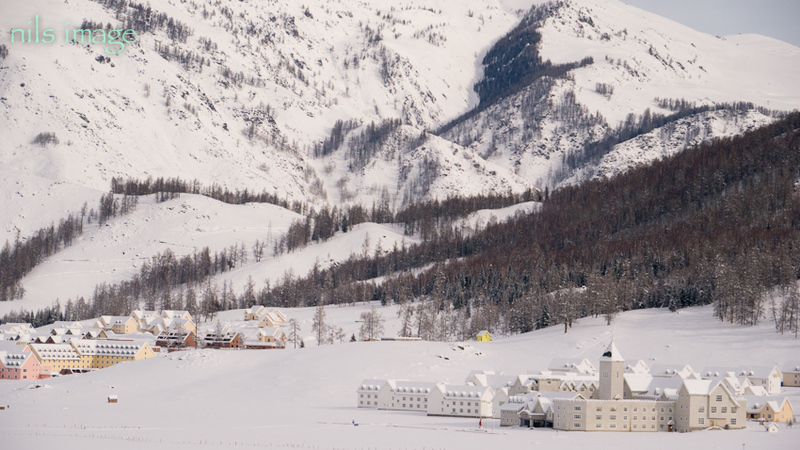 My last post was in 2009, and since then I have returned to the Altai twice, in January of 2010 and again in January of 2011. 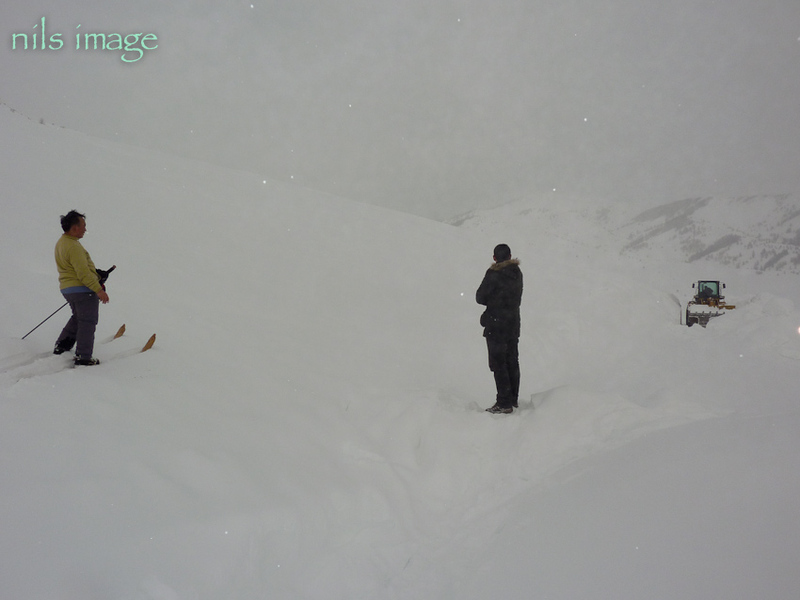 Since I can now upload images with abandon (also improved with an increased speed on my internet satellite connection) I will do some photo essays to bring the blog up to the present. Not sure how this will come up but probably in a mix of time period focused posts and subject focused. 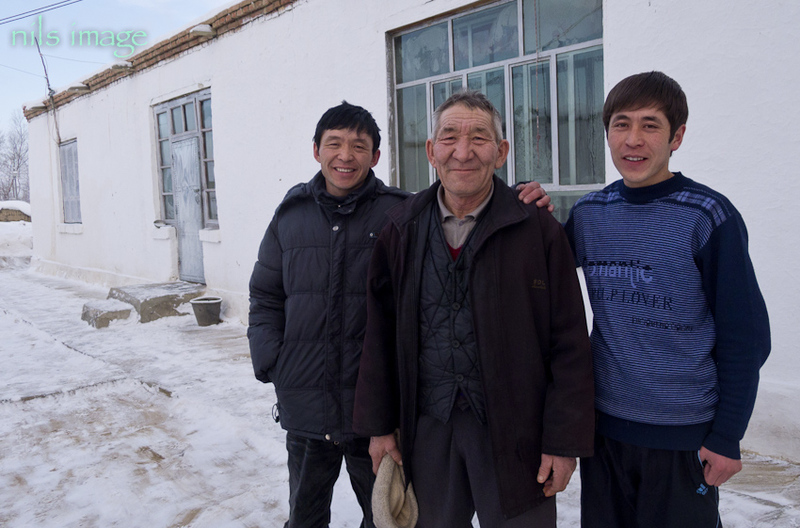 All my trips to the Altai start in Beijing, where I spend a few days making connections and visiting with my cousin – an ER doc there – and his family. I find Beijing overwhelming. Its size and intensity – particularly its intensity – easily trumps any city I have visited in the US. It is literally bursting with the vices and virtues of humanity, and my view of cities in general is that their vices far out way their virtues. I find Beijing no exception to this, though there are some wonderful things to see, particularly some of the historical sites. 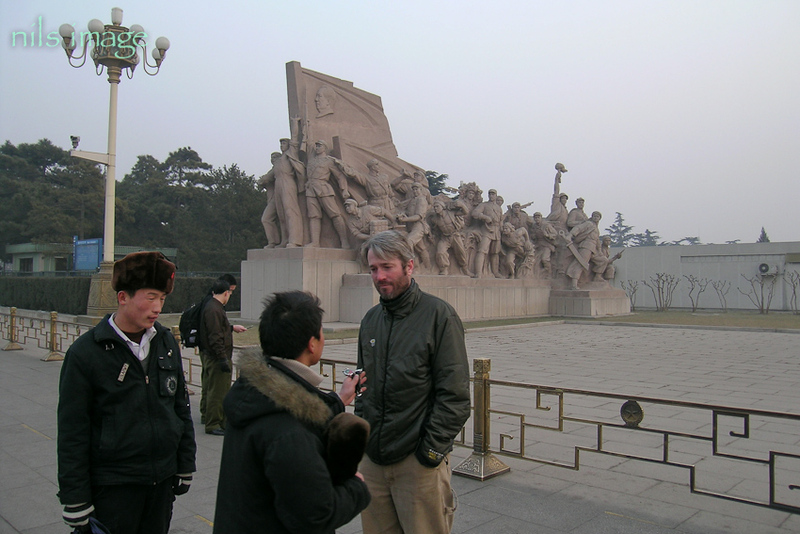 John being sold a Mao watch in Tiananmen Square – 2006. 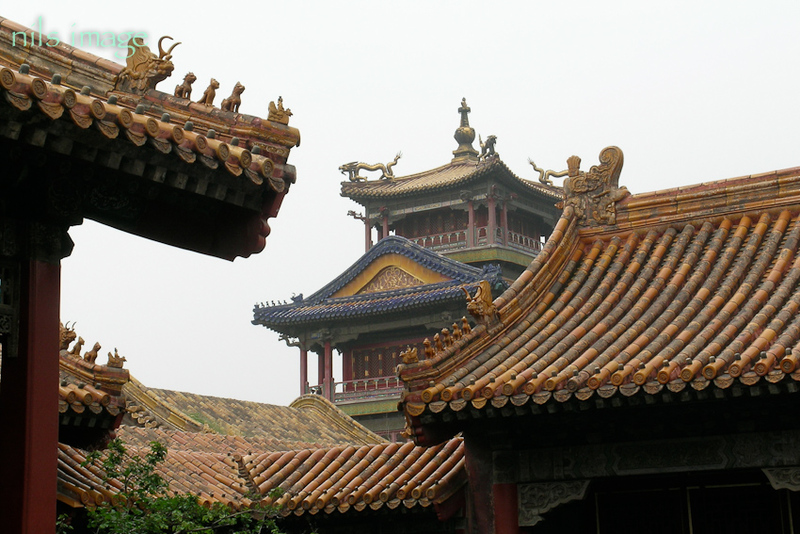 Building detail in the Forbidden City Complex. From Beijing I fly to Urumqi, the capitol of Xinjiang province, China’s largest (by area) province. 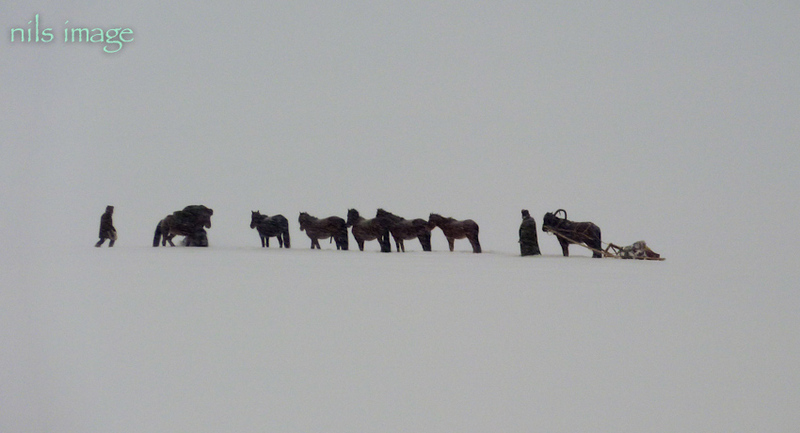 The province’s rich history dates back thousands of years and encompasses a good portion of the Silk Road. Roads actually. 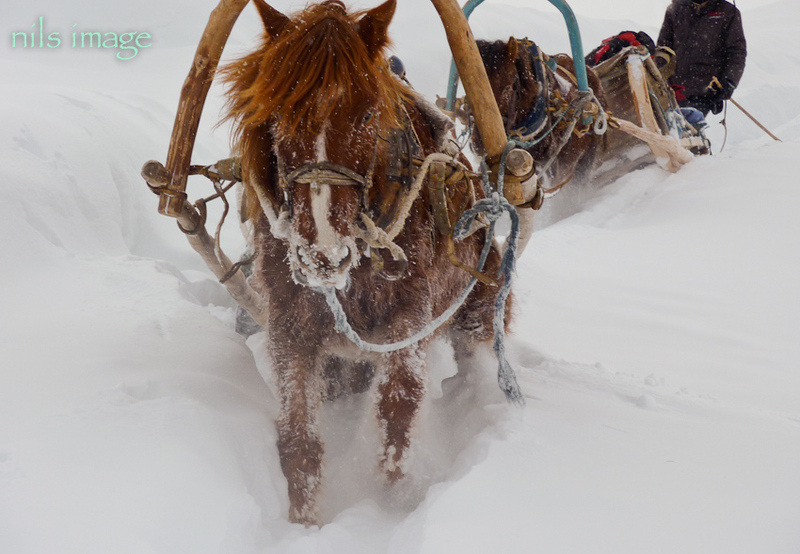 There are a number of different routes to the Silk Road, depending on what the weather, water, and politics were at any given time. 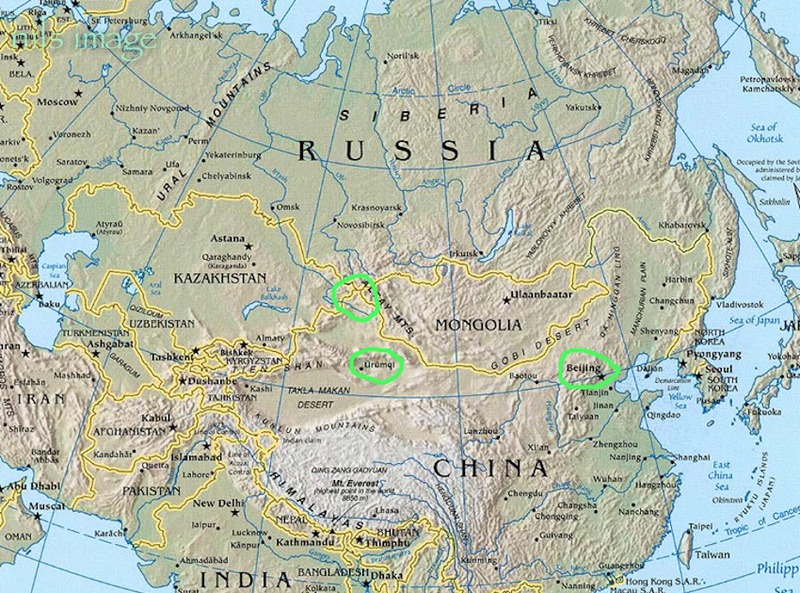 Map of Asia showing (circled in green) Beijing, Urumqi, and the Chinese Altai region. Urumqi is the largest city in Western China with an excess of 2.5 million inhabitants, the majority of which are now Han. The name is Mongolian and means ‘beautiful pastures’ as I’m sure it once was. It is now a large smoggy city that uses a lot of coal for heat and electricity, suffering the accompanying black grit and foul air. That said, some beautiful peaks are visible on most days from Urumqi, and there is a rich, if not always harmonious, ethnic mix in the city. The Uyghur’s, who make up the majority population in the province, have a strong presence in Urumqi and I find their food to be exceptional. Of particular delight would be the handmade breads and sheep kebabs seasoned with a cumin, garlic based mix that I often dream of back home. 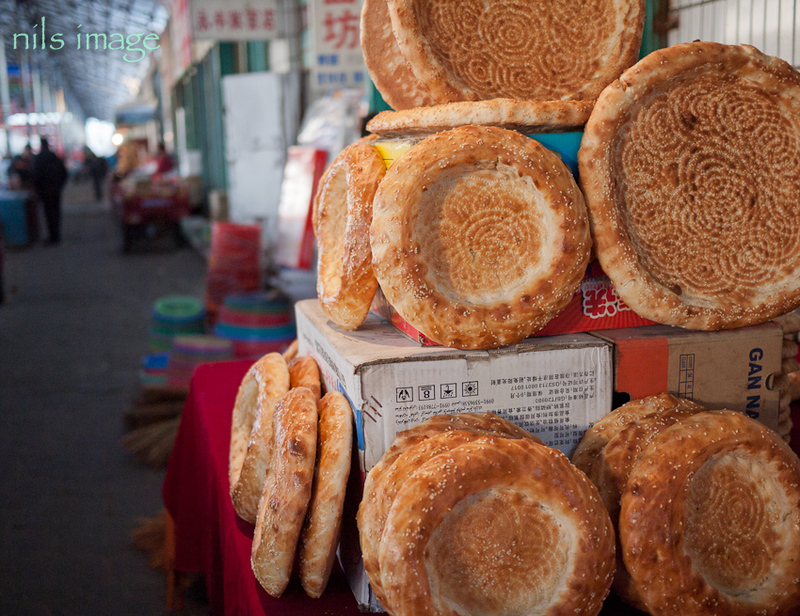 Traditional flat bread in an outdoor market. 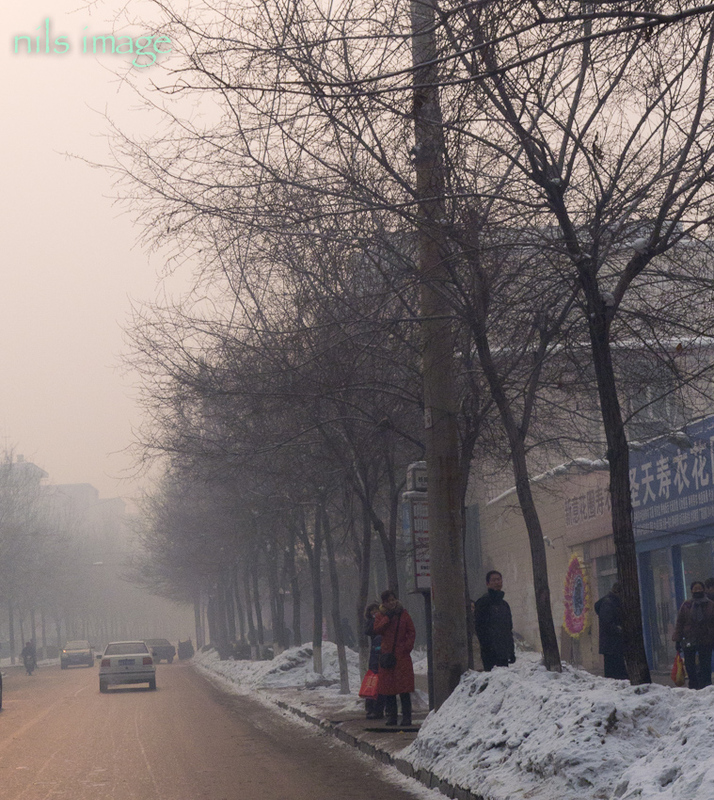 Urumqi in winter – a cold grey city with an air quality problem. 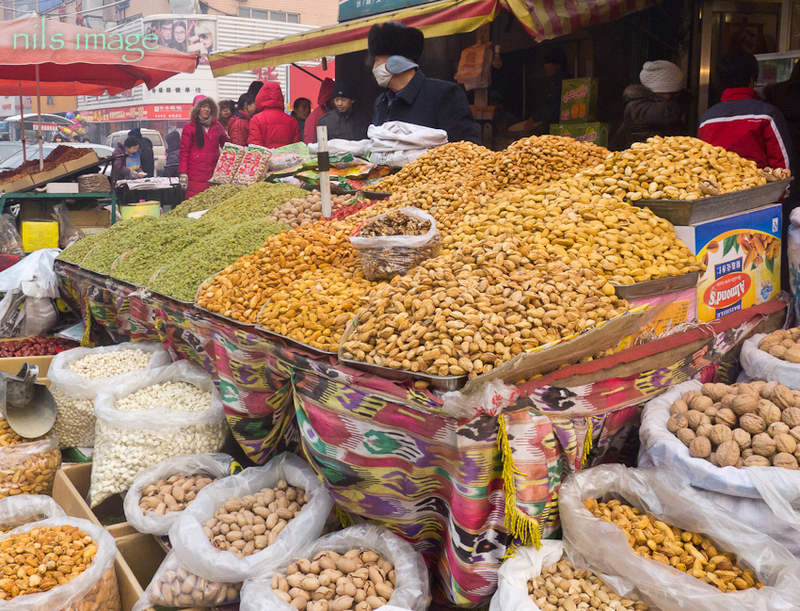 Outdoor markets are common with the locals seemingly unruffled by subzero temperatures. 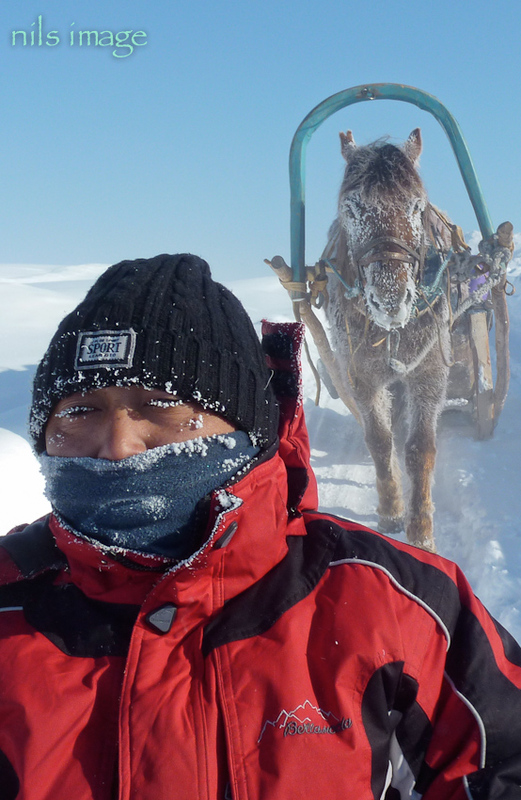 From Urumqi north to the Altai can be done by vehicle in 8-10 hours or nowadays by plane in a bit over an hour. 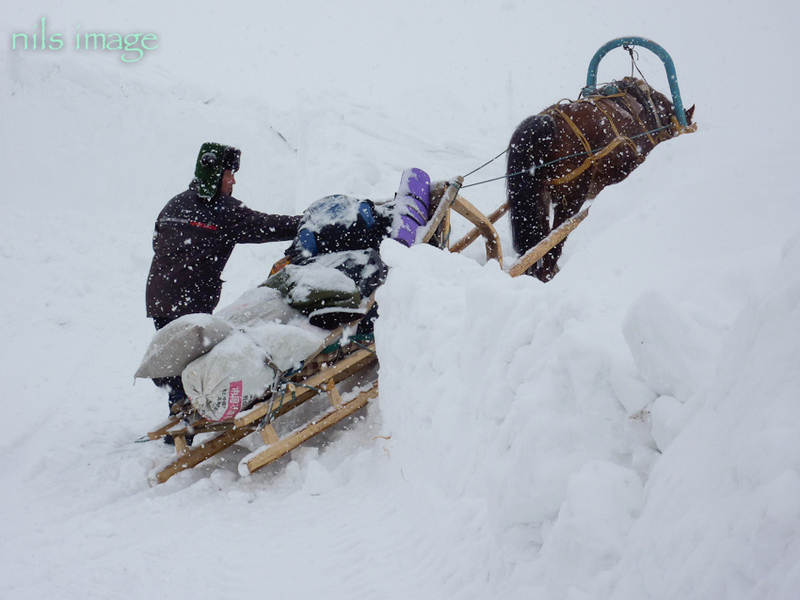 This gets you to Altay City, located east of the area I generally spend most of my time. 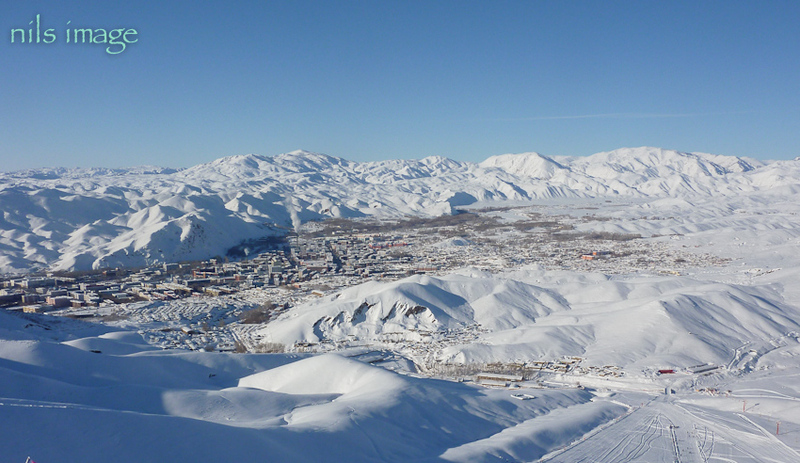 Altay City is also home to the original traditional ski race in 2006 and has several small downhill areas for modern skiers. More on this later. 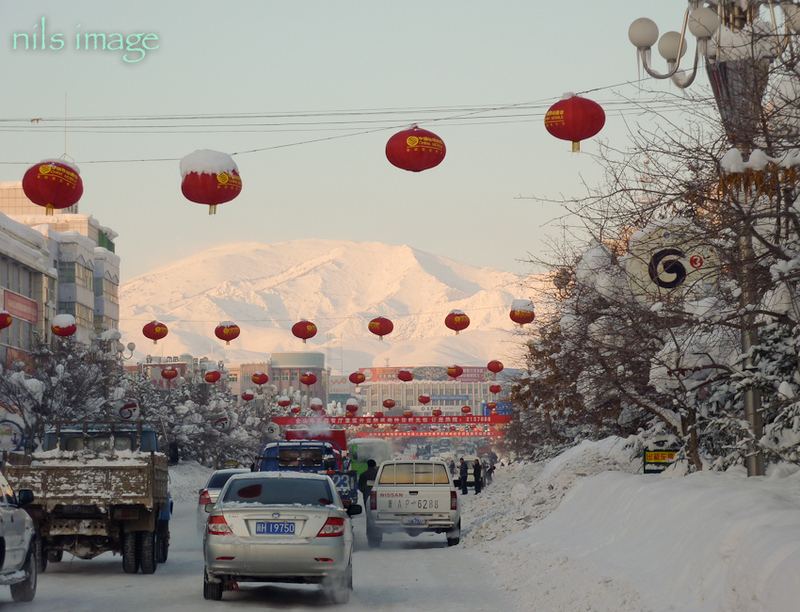 The main street of Altay City decked out for the winter festival. 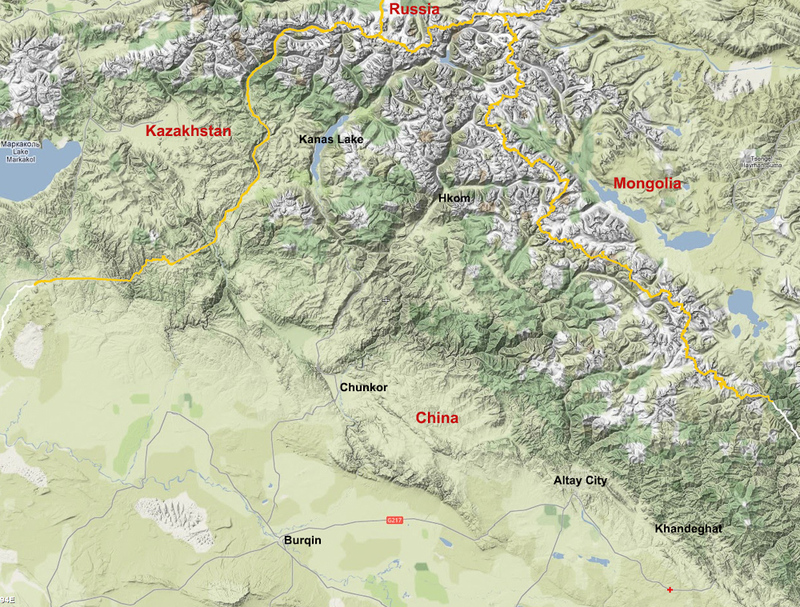 Map of the Chinese Altai and border region with significant towns. My normal route takes me from Altay City to Burqin, a few hours drive and the last major town before heading into the mountains. Burqin is also the government headquarters for the mountain region I do most of my travel in so there always is some checking in here for permits and renewing of contacts each year. From Burqin we usually hire a car or bus on to Chunkor, truly in the foothills and what I would call a transitional town between the modern China and the old ways that date back … well, a long time. Chunkor is a mixed town but seems to be predominantly Kazakh with an added mix of Hue (Chinese Muslim) and Tuwa, the smallest minority in this region. The name Chunkor, I believe, refers to the small basin that is attached under a traditional crib to collect the pee. The locals have a good sense of humor. 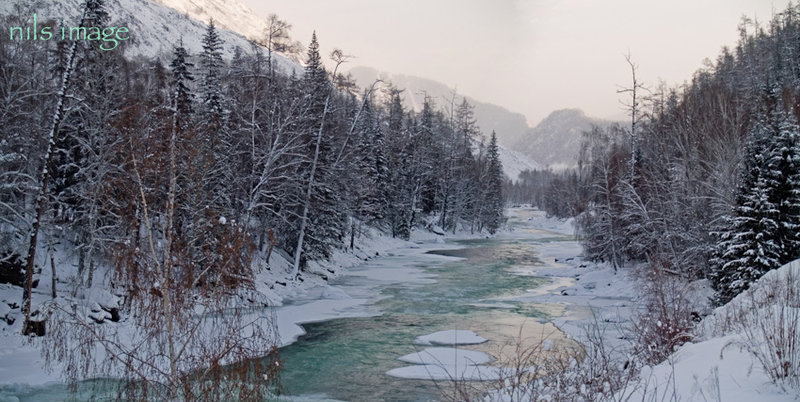 Chunkor sits in a basin in the Altai foothills where the Irtysh River drains south out of the Altai Mountains before turning in a westward arc to start its route north to join the Ob, the world’s 4th longest river, emptying eventually into the Arctic Ocean. It’s a fertile spot, well watered and farmed both with local crops and for hay. 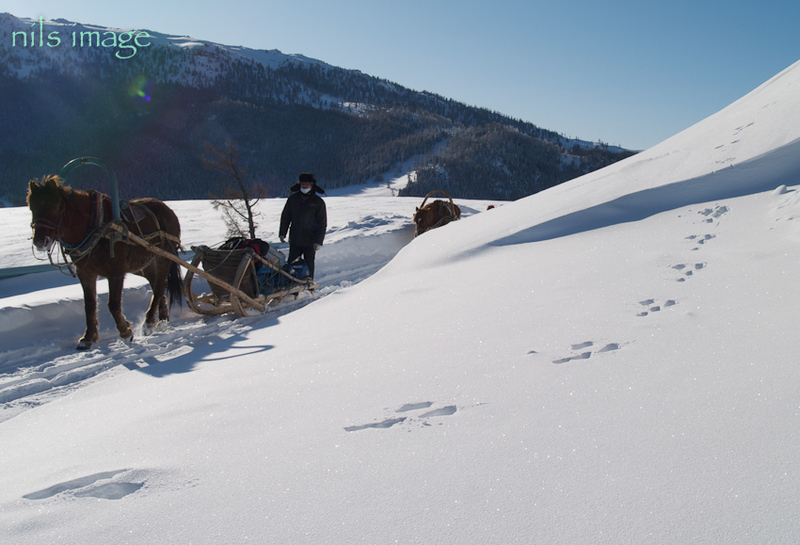 There are a number of small settlements in the basin serving as a winter home for many of the semi nomadic people that live in the region. 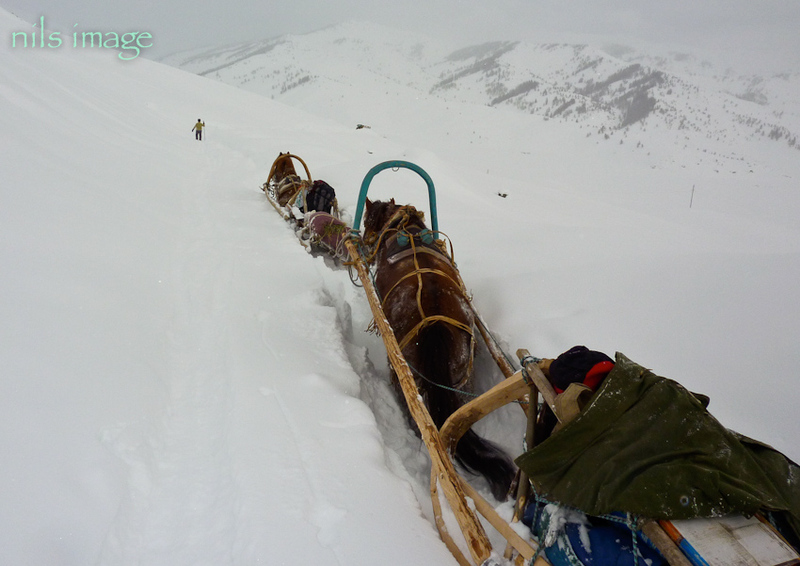 In the spring they pack up their yurts and animals and move up into the mountains for the summer. 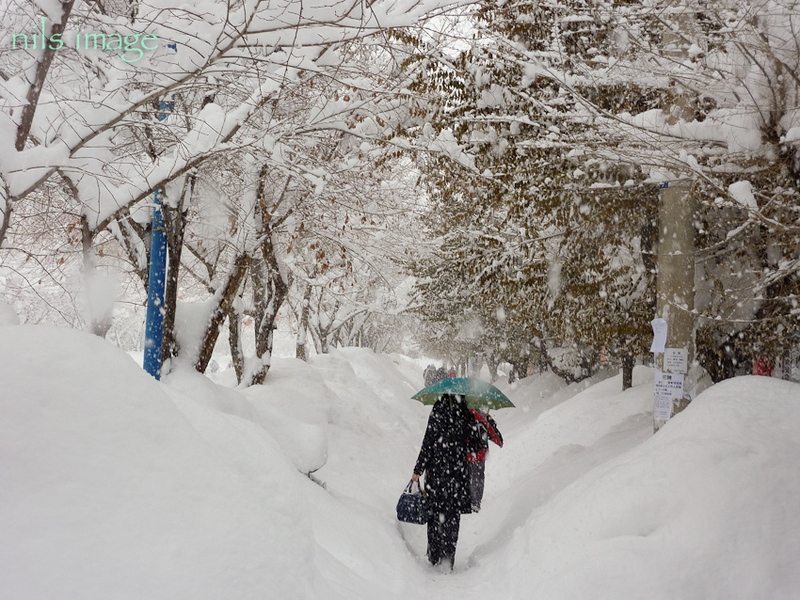 When one arrives in Chunkor in the winter the first impression is that it’s very cold. Being in a basin, all the cold air drains downhill and collects here with no place to go. 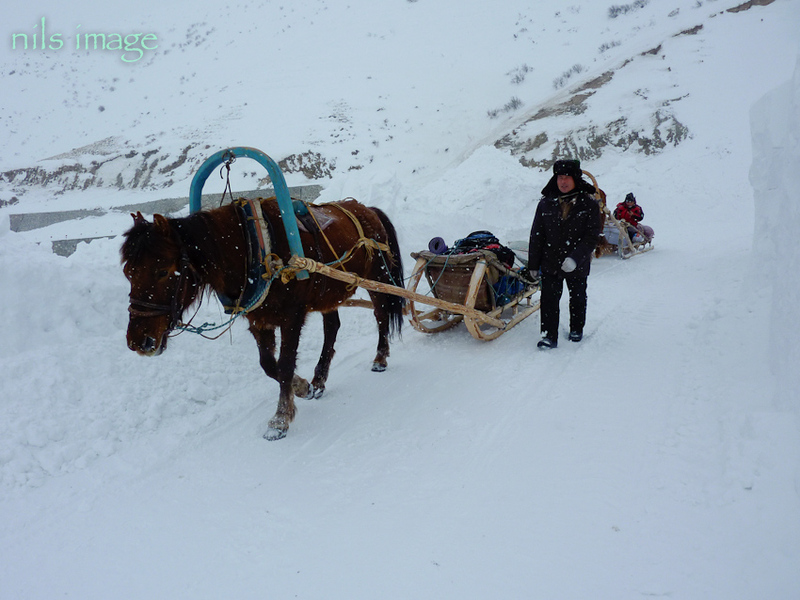 Locals are out and about in all conditions though, often on horseback or with chana, the local one horse sled that is ubiquitous in the mountains here. There are cars too, jostling for space with the wandering cows, pedestrians, horsemen, chanas…. 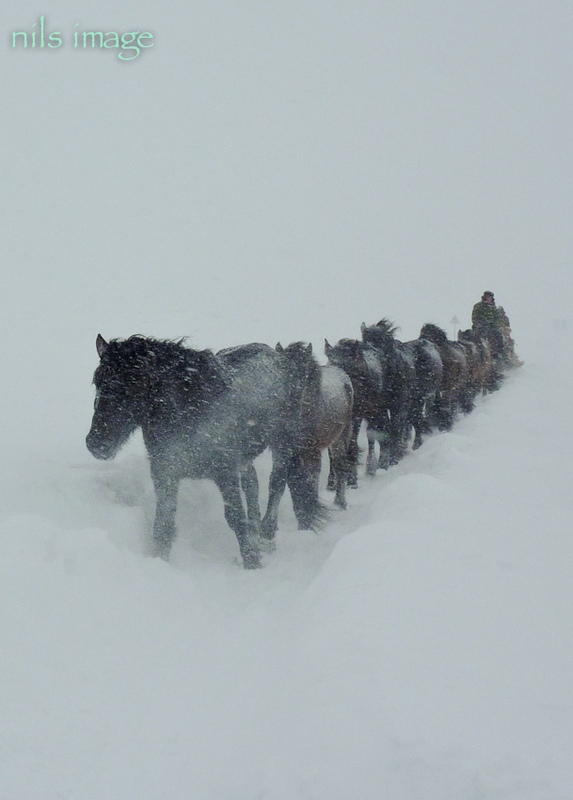 Cows walk through town eating scraps of cardboard and and frosted horses stand idly at hitching posts or in harness. Dogs are everywhere and love to harass the horses but have not yet learned to go after the cars. 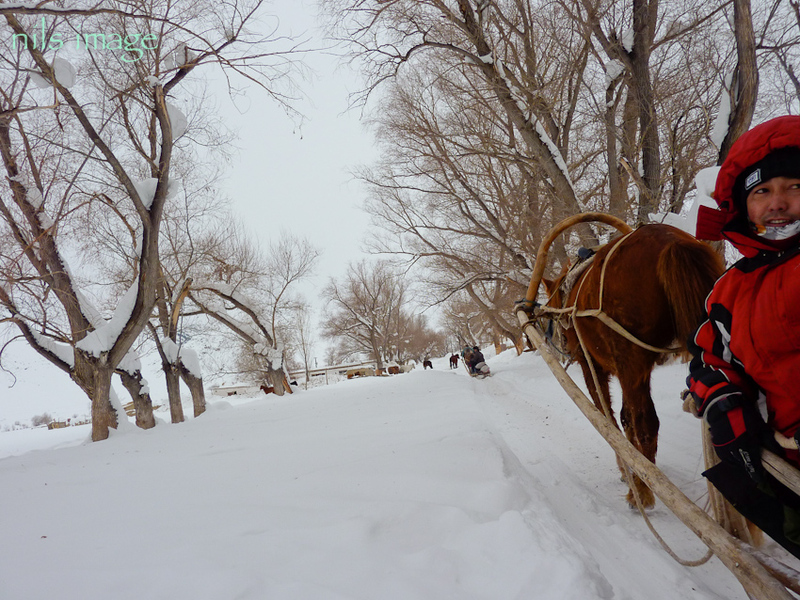 Kids play in light jackets in subzero temperatures – one morning on the way out of town with a temperature of -35 we passed a stream of kids on foot and horseback heading to school, some without hats or gloves. 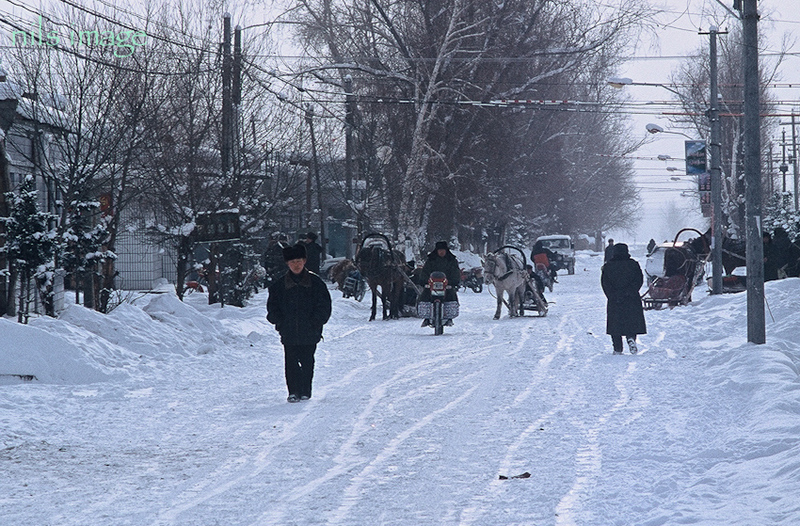 Chunkor, until 3 years ago, was the end of the road in the winter. We hired our horsemen and chanas here on our first trip and I have done the same ever since. Doné was the head horseman on our first trip and has since become a good friend, traveling with me on a number of other trips and offering his house up whenever I pass through. He’s rascally in a good sort of way and protective to a fault. Norbek was also on that first trip and most of the succeeding trips. He is quiet and steady, with a keen interest now in petroglyphs and local history. Both have patiently helped me with my garbled kazakh and clued me in to many local customs and quirks. 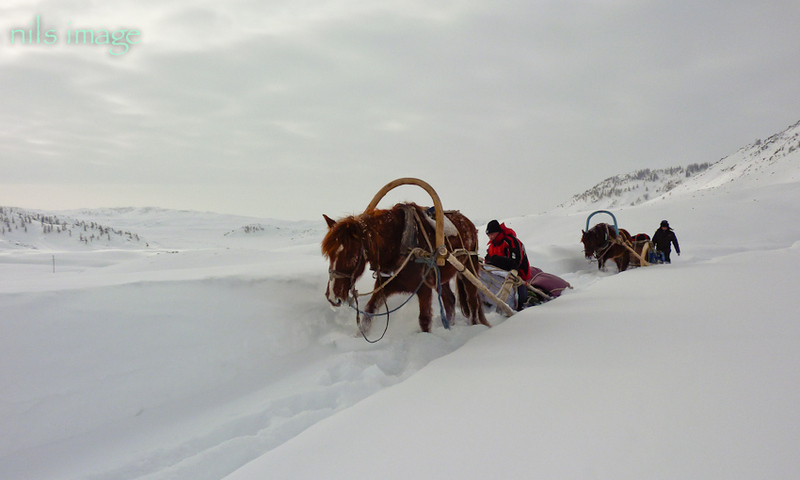 They have generally kept me out of trouble in the mountains and been the best of companions. I don’t want to I give the impression that I am a competent speaker of Kazakh. I am not. I have a pretty good word list but when it comes to constructing sentences or even understanding a conversation I am most often completely in the dark. I generally get the gist of the first few words of a conversation but soon fall farther and farther back as I try and untangled the sentence to something approaching comprehension. On the plus side there is no gender. So to get me through all this I have had a translator with me each year, with Ayken filling the roll for most of the trips. He’s Kazakh from the southern mountains (south of Urumqi)and is fluent in Kazakh, Uygher, Chinese, and English (written and spoken) and knows a bit of Russian (and cyrillic), a smattering of Mongol, and a bit of Tuwa – an archaic language from the Altaic family tree which also includes all the Turkic languages. He’s also a great guy, short, stocky, and full of energy, while being a bit lazy at the same time. He knows how to work well within the Chinese system and has an inborn knowledge of the nomadic customs. Ayken is also a great pleasure to travel with. Ayken on a long downhill stretch to Chunkor. Norbek and Ayken on the trail. 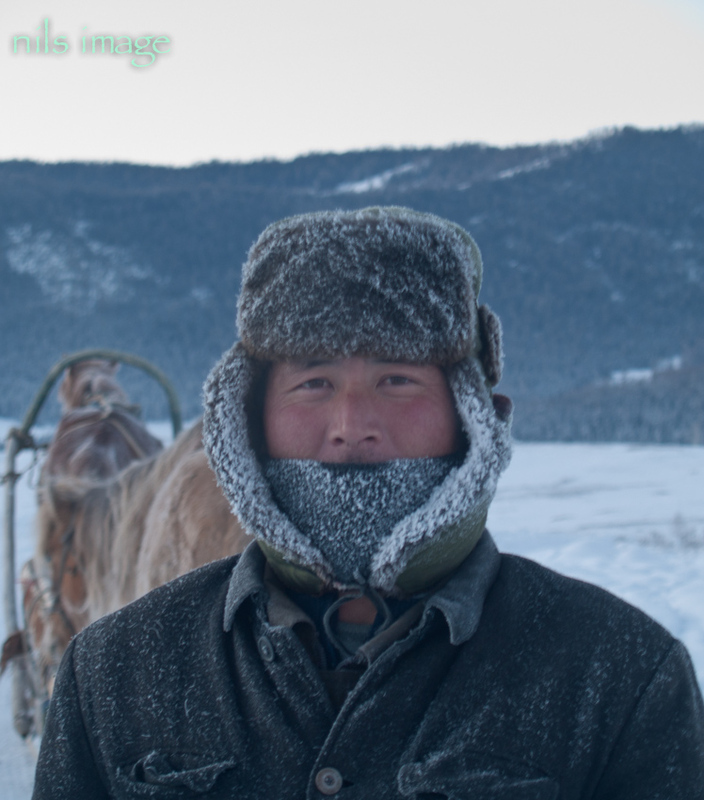 So, in a roundabout way that gets me on the doorstep of the Altai. 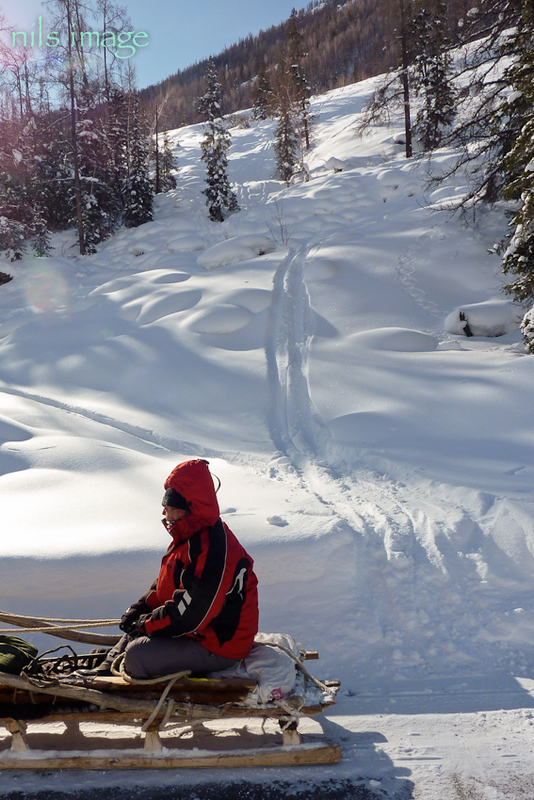 Four plus days – if I push it – I am ready to shift gears and head into the mountains. The cold is always a bit stunning at first but the hard traveling is over and now the real journey begins ! 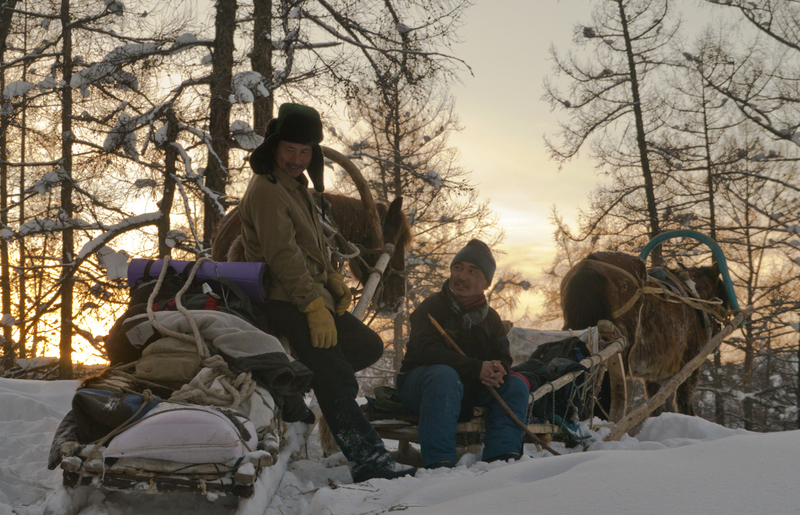 Skiing in the Shadow of Genghis Khan – In 2005 Nils Larsen, Dave Waag, and Naheed Henderson journeyed to the Altai Mountains of NW China to document the indigenous use of skis. 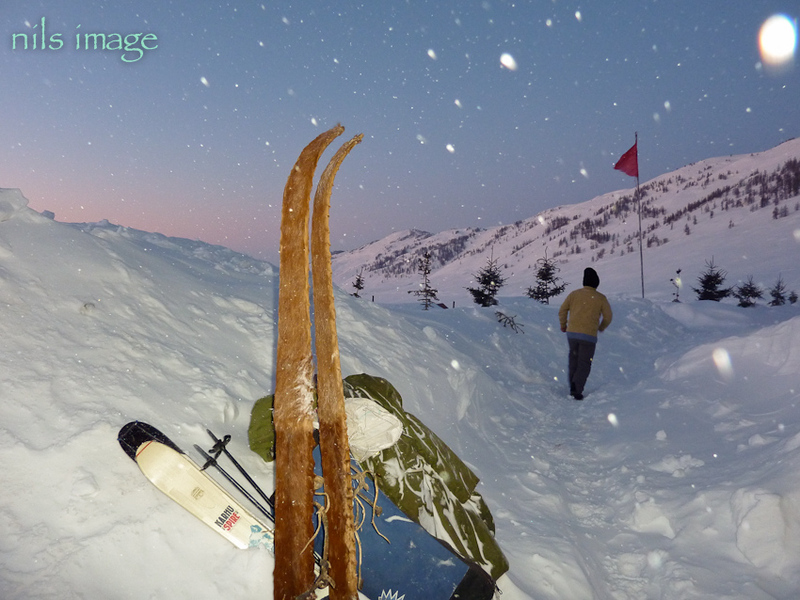 Nils followed this first trip with three additional trips into this remote region and what he found was a rich culture that still builds and uses skis in ways that date back thousands of years. 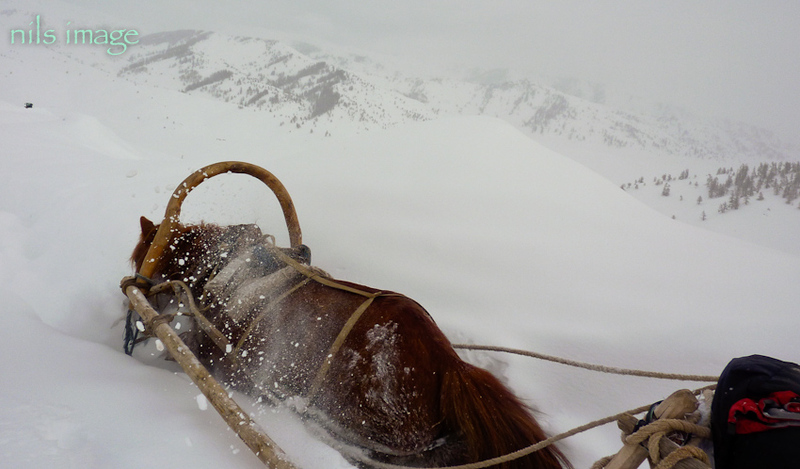 ‘Skiing in the Shadow of Genghis Khan’ takes you on a tour of both place and people, showing you how they build and use this ancient style of skis as well as live in this harsh but beautiful part of our world. 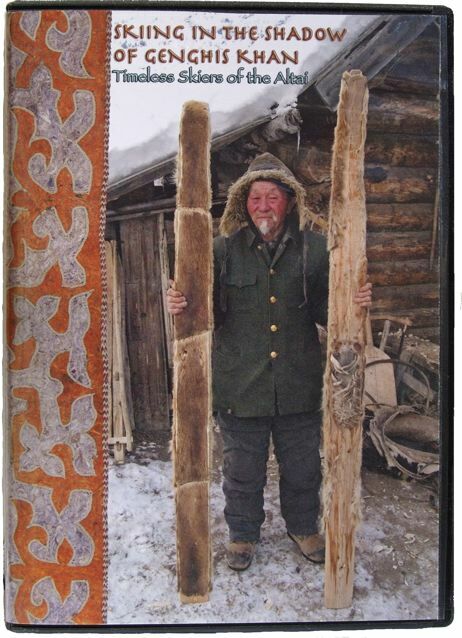 This DVD is now available.